Before you start trading with Bitcoin, it is important to learn about trading too. Here we have collected what is important to learn when someone wants to trade bitcoin – and where you can get the best information online. Nowadays more and more platforms offer the option to trade with Bitcoin and several other cryptocurrencies, just like any currency. You can buy, sell trade Bitcoin against the US dollar or other major fiats. But just like in the case of forex or stock trading it is imperative to make sure you understand what are you doing in the first place. By understanding the product you are trading with you get insight into the market where the trading takes place. Up until you are in the loop and know what’s going on the market, you are one step closer to become a successful trader. In term of trading with Bitcoin, this is extremely important, as cryptocurrencies itself a brand new asset class and sometimes are not behaving the same way as traditional assets on the market. Even though cryptocurrencies and Bitcoin is a relatively new product on the trading markets there are already several really good sources where you can learn trading with Bitcoin. There are both free and payable courses on the internet, and in this case, if you have to pay for something it does not necessary means it will be better. Unfortunately, many scammers discovered that people want to get rich quickly and trading with Bitcoin can lead to significant wealth. They connected the dots and started to offer canned trading courses that they claim it suits everyone. You can often find these so-called trading masters in the comments of blog posts and youtube videos on the topic of trading with Bitcoin where other “clients” refer them. If a trading course does not even have a homepage or a Udemy page you can only get the information through emails and WhatsApp message – be that a red flag for you. 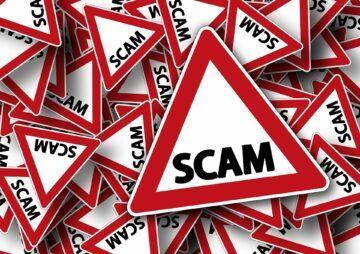 These scammers often collect money to get into a closed Telegram channel, but once you have paid several hundreds of dollars you could end up with nothing. So make sure you check the background of a trading course and the reviews out there before committing yourself financially to something. There are a couple of ways you can source information when you start to learn trading with Bitcoins. Many legit courses exist on the market which can teach you the basics of forex and Bitcoin trading, reading the charts, time the market and make educated decisions on positions. These training courses can be found on individual websites, on training platforms like Udemy and Linda and blogs run by exchanges and forex platforms. Before you sign up to a training course there are a couple of aspects worth checking to make sure what you will get suits your needs the best. Check the background of the trainer. As practice makes the master – the more experience a trainer has the better the knowledge will you get as far the material is communicated in an easy and understandable way. Understand what is the prerequisite knowledge required. If the course is about advanced charting techniques and you are not even familiar with the term candlestick the training will probably not benefit you. Review the table of contents to see if the topics covered are the one you are needed. Make sure you understand the fee structure. Some platforms provide free introductory training material and then you have to pay for further lessons. You can find thousands of professionals who are willing to offer their trading expertise and tips. In many cases however you need to pay a smaller amount or sometimes even significant amounts to get access to the knowledge. As mentioned above unfortunately in this sector the more expensive course does not equal to a better-delivered knowledge. However, you can still find some valuable training to learn to trade with Bitcoin online. Quora is one of the best sources to find a relevant answer to your questions. This is also the case in terms of learning trading Bitcoin. Hundreds of questions have been posted by the topic in various depth where hobby traders to certified professionals answer the questions. You can read the answers for these questions for free or you can also post your question on the platform. In many cases, the individuals who offer answers to specific trading positions and strategies also have their own sites where you can sign up for further trainings – often for money. When starting reading on Quora, make sure you read the bio of the responder to understand his level of expertise on the specific topic covered. 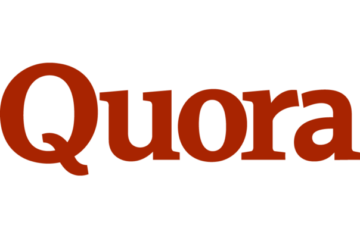 Some people use Quora to promote affiliate links, just be aware of this when signing up to a training course through their links. On his site, chrisdunn.com Chris Dunn offers tips and strategies to thrive in today’s economy. 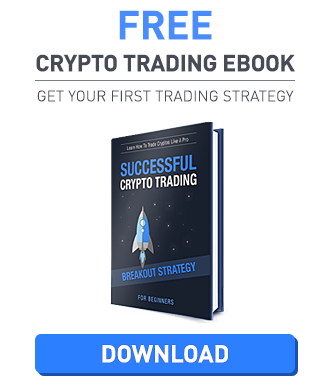 Chris Dunn offers trading tips and strategies on Bitcoin since 2014. He came from a sales background, his first venture was a car washing company. Later he switched to real estate and finance. He has over 20 years of experience in trading and stock markets. You can subscribe to his newsletter to learn skills to help you to invest and profit from trading with Bitcoin. It worth following Chris on Youtube and Twitter where he shares his trading tips and market analysis on a regular basis with his 200k+ subscriber audience. Chris Dunn creates daily market analysis, live trading, market update videos, and beginners classes in their cryptocurrency mentoring program. Their ultimate goal is to help people become self-sufficient traders and investors. Their monthly fee is $27 which includes a money back guarantee as well. His site also offers a significant amount of free resources about other forms of investment and business strategies to build wealth. When checking online reviews about the site it seems most people are either satisfied with the results or just stays in quite. If a post comes up about Chris being a scammer, he immediately offers his help to clear the misunderstandings. Also being on the market for more than 4 years by now and his significant followers base proves he has something for people who want to learn trading with Bitcoin. Is his strategy always work? Probably not, but in general his resources should give beginners a very good start. 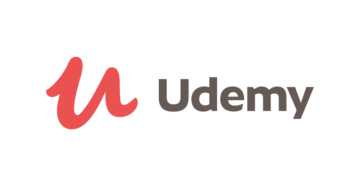 Udemy is an online learning platform which is offering any kind of course material in an easy and secure way. You can sign up to training from anywhere at any time and progress with the syllabus according to your schedule. No need to worry about the payment, as they offer secured payment gateways including credit cards and PayPal. Users can rate the courses which make sure that the content delivered is as high quality as expected. But in case you are not satisfied you an always opt for the 30-day money back guarantee which ensures you will get 100% satisfaction at the end. When searching for ‘learn Bitcoin trading’ on Udemy, you get over 1000 results. The prices of the course vary greatly from $10 to $200 although a lot is depending on if you manage to catch a sale on Udemy. In this case, you can get these courses at a high discount. The available course can be sorted by popularity, there are almost 500 courses in the system with 4.5+ rating, so there is definitely a wide variety of training offerings available here. The best seller and highest rated courses are viewed by other users a useful tool when learning to trade with Bitcoin as participants can rate the purchased courses after they have viewed the content. You can take a preview of the courses and review what will be discussed during the training. Make every effort to read through the given information before making any purchases to make sure you are attending to the course which suits your level of knowledge. Depending on what course you choose, the prerequisite knowledge can include various forms. Basic knowledge – if nothing is highlighted as a requirement in the Udemy course, the lectures will cover the basics of cryptocurrencies including what is Bitcoin, how to open a wallet, how to make a transfer and how to buy and sell cryptocurrencies. After the basics are set they also go into trading techniques. However since the material, in this case, can be very large it also means that many times these course are too broad, so you might not get a deep dive into any of the topics. You might want to consider taking separate classes on the basics and then move to learn trading with Bitcoin specifically – after you have done course separately on Bitcoin and on trading. 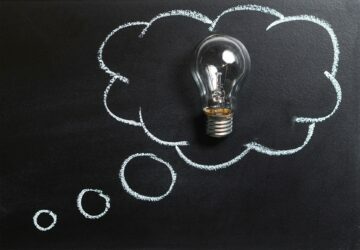 Medium knowledge – the more advanced trainings require the above-mentioned knowledge from the user and jump into teaching trading techniques. These training courses focus more on the technical and fundamental analysis of the crypto market. Make sure you check what is the knowledge and tools you need to complete the course. Tools can include verified registration at a cryptocurrency trading exchange or an account at Tradingview. Advanced knowledge – Once you have learned the basics of both cryptocurrencies and trading techniques, you can improve your skills by learning further in one direction. Technical analysis gives you hundreds of thousands of candlestick diagrams to understand. Additionally, the crypto market also has its own nuances which need to be considered when trading professionally on the market. Some courses offer these types of information too on Udemy. The top three courses include more than 50 lectures on the topics. You can study the material at your own pace and they also recommend an estimated time you can spend on learning. The average time needed to go through these materials is around 5 to 15 hours. Exchanges and forex trading platforms have also discovered that if they educate their prospective and existing users – for free – there is a better chance they sign up to their services. And ultimately this is how they make money. 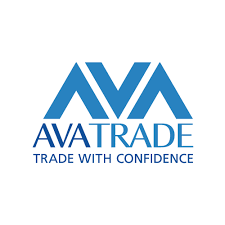 AvaTrade – the well-known CFD and forex trading platform offers an article series about Bitcoin and cryptocurrencies. Their training materials mostly suit beginners. At the same time, you can also learn the basics of chart reading and technical analysis in the forex section. Just combine the two and you will have enough knowledge to start trading with Bitcoin. With their demo account, you can also test the water and see whether what you have learned works in reality too. BitMex is the leading derivative market for Bitcoin assets at the moment. If you are familiar already with the basics of cryptocurrencies and technical analysis, you can move to more complex derivative products – which is offered in a wide selection on BitMex for Bitcoin. They offer guides on general trading, futures and perpetuals with great examples of actual position taking. The information suits mostly those who has prior financial knowledge. If you have already gathered the fundamentals of trading with Bitcoin – you might want to see how the textbook knowledge work in real life. There are some platforms where you can see how others are doing this. You can understand their strategies or copy their steps. 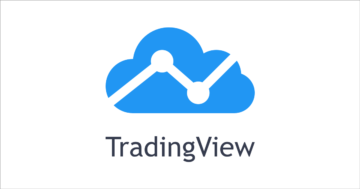 TradingView provides interactive charts with live trading information. It sources live price data from many cryptocurrency exchanges for Bitcoin and altcoin prices. But what is more important for you if you want to learn trading with Bitcoin is that you can read other trader’s market views. Users can post their expectations, charts and diagrams along with their strategies on the platform. Although in many cases you need to have significant knowledge on technical analysis to be able to read the charts as in these cases the users who share this information are not necessarily available to answer questions. But the charts might give you some trading ideas – or at least some topics to learn further about. Etoro is the world’s leading social trading network, with millions of registered users and an array of innovative trading and investment tools. You can simply and easily copy other users’ market interactions. Although it seems an easy way to make money, it is strongly suggested to examine and understand the strategy behind these portfolios. Otherwise, you are just blindly following someone into the deep. forest of trading. You can learn anything on the internet – so learning trading with Bitcoin makes no exception. There are hundreds of thousands hours available to learn, just make sure you pick the right resources which are from legit sources and provides the right level of knowledge that suits your specific needs.